Officials from the city, the provincial government and a southeast Edmonton seniors facility marked the beginning of construction for a new community centre in Mill Woods. 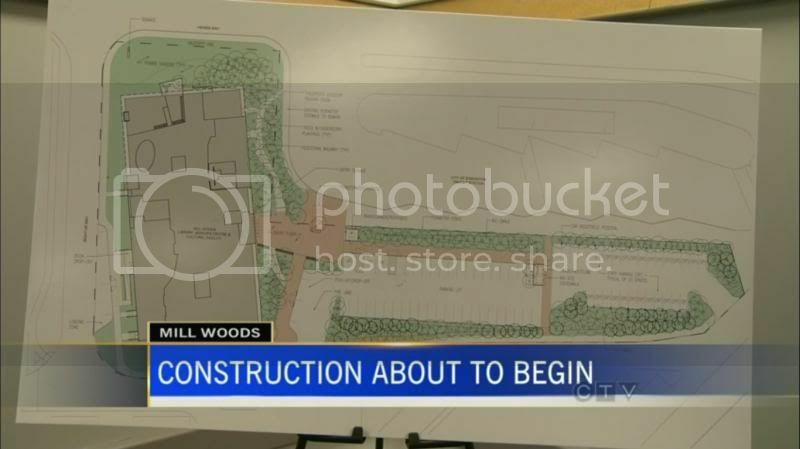 On Friday, construction on the Mill Woods Library, Seniors and Multicultural Centre kicked off. 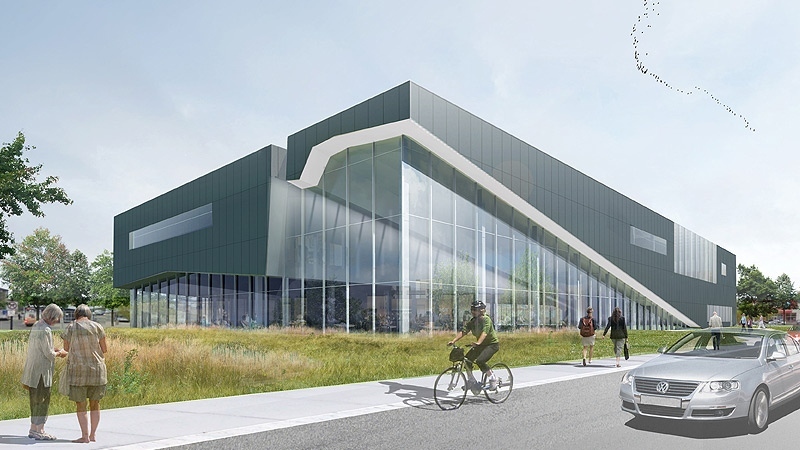 The facility, which will be opened in 2014, includes a larger library and social and recreational space for seniors and multicultural community groups. Today was the first I have ever heard of this (I tried searching, did not find any existing threads). Construction began today. Which is only nice for awhile, unfortunately the transit centre will be moving away from it's current location to a new location on 28 ave next to the future LRT station. Huh? They've been working on that site for a couple months now. ^that would be my guess. Great to see. Librairies play an important role in our communities. Although I find it funny that no one complains about the price tag for this type of facility even though most citizens will never step foot in it. Perhaps everybody recognizes the untold benefit such places play in learning, and particularly for children and youth? People don't question it because the value, to society, and individuals, is clearly recognized. What societal benefit does a massive arena pay? Well when I've been to the current location in the mall, the library is always quite busy. An entirely redeveloped downtown. An icon for the city. Massive tourism. A major image boost. All benefits for the whole society. An icon for the city. Possibly, but could be considered outdated and odd looking design within a decade. Massive tourism. A major image boost. But very likely. I like libraries! ChrisD hit the nail on the head. No one will ever complain about public funds to a library. But there is a damn near riot when it goes to an arena. Replacement the arugment you are making (presupposed) is bs at best. What it boils down to is people value Education (if you get that at a library is also presupposed) over Recreation. And if its a Recreation project that a Billionaire happens to benifit from, well heavens forbid we allow it. A library isn't a business. It's a public service. There's no comparison between an arena and a library. How much profit does a library make compared to an NHL arena? Where do their revenues go? Also, Clareview and Terwilliger Rec Centres were massive projects that seem to be welcomed by their communities as a whole. These public centres are completely different than an NHL arena. I know there's those on this forum who think libraries are relics of the past, but I honestly think the city and EPL deserve credit for building some really top notch buildings in the past 10 years. Libraries that also serve as important community centres beyond just being places to get books. And I say that as someone who has pretty much gone 100% over to ebooks. Its interesting you think that libraries don't further education. They have throughout recorded history and if one wants to question this angle then the extent of your logic has it that the printed word itself hasn't furthered education and learning. Which would be a ridiculous premise that you can argue if you wish. Its not that people strictly value Education over recreation either. I think in both instances communities actively support and WANT Libraries and recreational facilities that further the mind/body duality to achieve personal and societal ideals. Through direct benefit. I draw a big distinction here between recreation that is first person direct achieved vs recreation that is passive watching or listening. The first involves the individual, the second is in Marshall McLuhan's take a "non experience." One involves personal growth and experience, the other, at best, escape, passive, entertainment. We're paying .6B bucks for a massive arena so people can have dissociated experiences that arguably don't involve them. Well that's their perogative, and their loss. The facility will be there, open, for anyone to use, free of charge. Its interesting you think that libraries don't further education. Oh and this thread should be listed as completed.